The promise of USB-C is great: One cable to connect all of your devices, laptops, tablets, smartphone. Unfortunately it comes with the big caveat that you might end up damaging your gear if you cheap out on a USB-C cable. 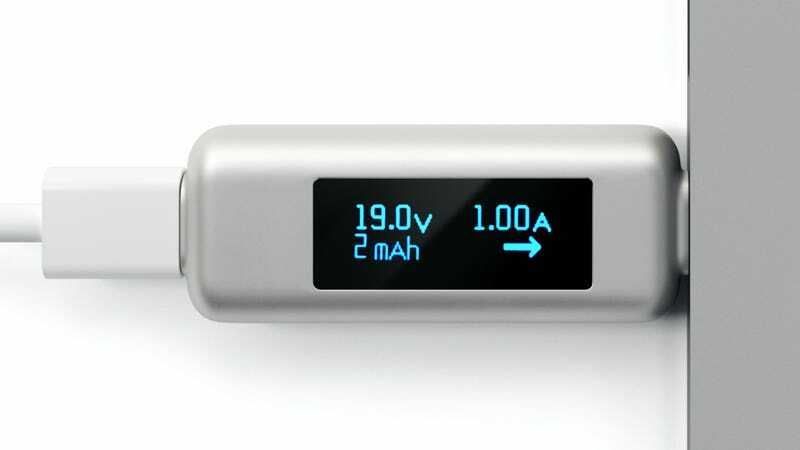 But Satechi’s new Type-C Power Meter makes it easy to tell if your USB-C gadgets are at risk of getting fried, or under-powered, by a sketchy accessory. Given the amount of power a USB-C cable is able to draw, upwards of 3 amps in order to charge a power-hungry laptop, you need to ensure you’ve got a high-quality cable or accessory that can handle the load. And as Google’s Benson Leung discovered, there’s even more risk to your electronics when you’ve got a cheap USB-C cable with an older USB connector on the other end that doesn’t properly regulate power draw. Buying USB-C cables and accessories from a reputable manufacturer is a good first step to protecting your devices, but there’s always the risk you’ve accidentally spent money on a convincing counterfeit. That’s where Satechi’s $30 ( £24) Type-C Power Meter comes into play. 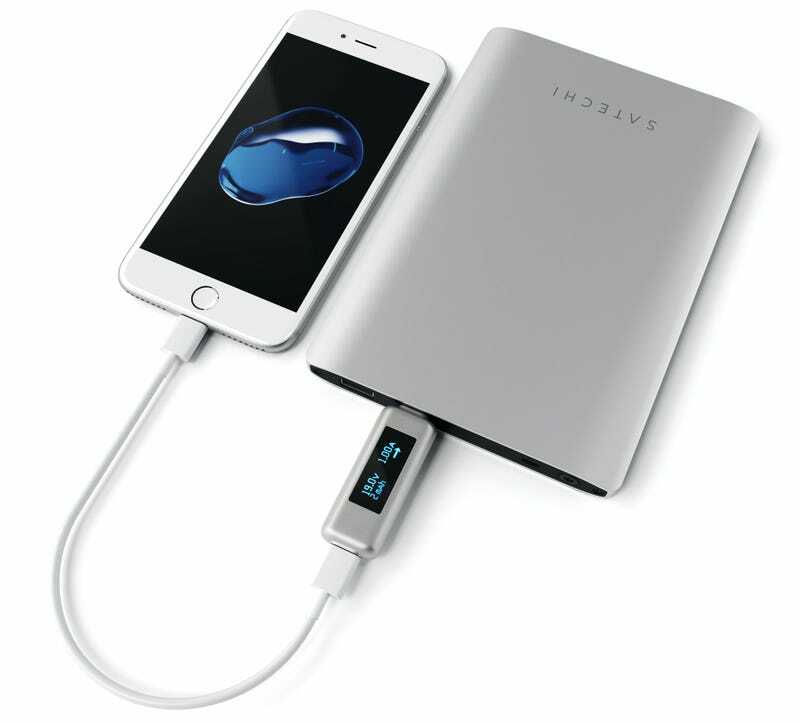 The simple pass-through adapter connects between a USB-C cable and a USB-C device, providing real-time data about the power draw, in either direction, including details about voltage, amps, and the amount of energy that’s been transferred since it was first plugged in. The monitor can let you know if an external battery pack is providing the proper amount of power to a smartphone that it claims to, or if your MacBook or Chromebook is receiving sufficient power from a charging cable connected to its USB-C port to actually charge the battery. What the monitor can’t do, however, is protect a device if there’s a detected problem in the power flow. It’s not a surge protector, nor does it have any built-in alarms or warnings because it has no idea what the power requirements are for whatever device you’re using it with. You’ll have to make sure you’re aware of how much power a device is supposed to be drawing, and confirm that it matches what the Type-C Power Meter is reporting, as soon as you plug it in.